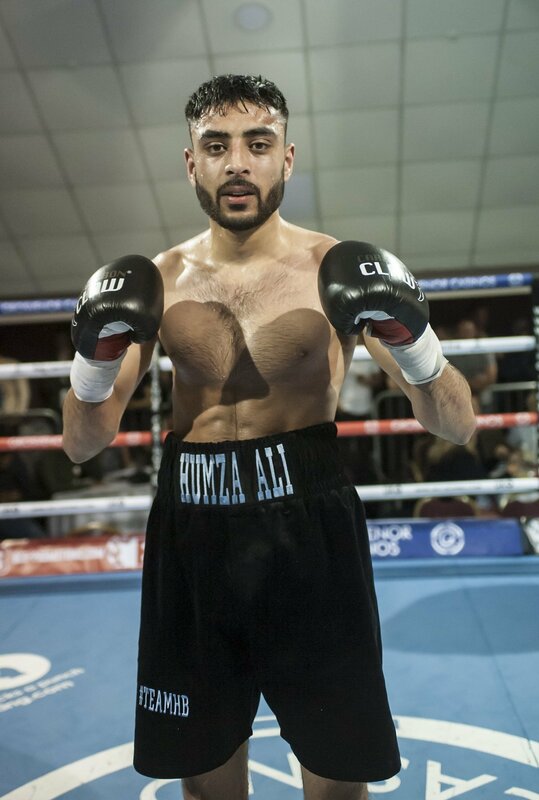 Humza Ali is planning to show that 11 months haven’t gone to waste when he’s back in action at the Venue in Dudley next month. Fight night has been scheduled for Saturday April 7 and it’s 10 months on from when paid pugilists last performed under those lights, writes Craig Birch. Ali, Midlands champion Tyler Denny, Kane Baker, Les Byfield, Ryan ‘Stewart’ Davies and Danny Ball will occupy the home corner after the first bell. Walsall’s Ali laces on the pro gloves for the second time after his debut on March 5 of last year, outpointing Anwar Alfadli by whitewash in the Stadium Suite at the Banks’s Stadium. Crafty campaigner Alfadli needed all of his guile to stay in there with Ali, who kept him at range off the jab to east towards an over the distance success. He’s since turned 22, as he was born appropriately enough on Boxing Day, and has an amateur grounding that saw him represent Aston Boxing Club for 40 bouts, with 21 wins. Another four-rounder awaits him at the Venue, after initially being due to compete at Walsall Town Hall earlier this month. It will be a featherweight contest, where he’ll still likely hold a height advantage at nearly 6ft despite traveling from super bantam. He said: “I’ve been in training for about 14 weeks, as my fight was postponed, so it’s been a long camp and I’m more than ready to get in there now. “It’s just under a year since I made my debut and it’s always frustrating, fighters like to fight but it’s one of those things. “I’ve filled out since then because I’ve been doing a lot of strength and conditioning, so I feel a lot more power in my sparring. “People have told me they think I’m a lightweight, so I’ll be a big feather going up from super bantam. Some think I can’t punch – but they will be surprised. “How I see it is is what will be, will be. I know what I’ve got to do to get to where I want to be. I’m prepared for anything and I’ll adapt to what’s put in front of me. “I’ve been practicing on how to open opponents up, people who are there to punch will open up themselves whereas these journeymen are always tight with their defence. “If you can open them up, you can open anyone up and I’ve been working on relaxing and picking my shots. I know I can fight and come forward, but I need to box as well. “Some who get in the ring tense up and become dead stiff, but it’s just another day to me. When you’ve got your own goals and you know what you want to achieve, it’s easier. Tickets, priced at £35 or £50 ringside with waitress service are available by calling 07976 283 157 or Humza directly on 07943 400 371. Alternatively, contact the latter on Facebook. Next boxing news: The Real Deal Boxing looks toward the international stage!